As the founder of Life Choice Psychology™, I have counseled thousands of individuals over the course of thirty years. 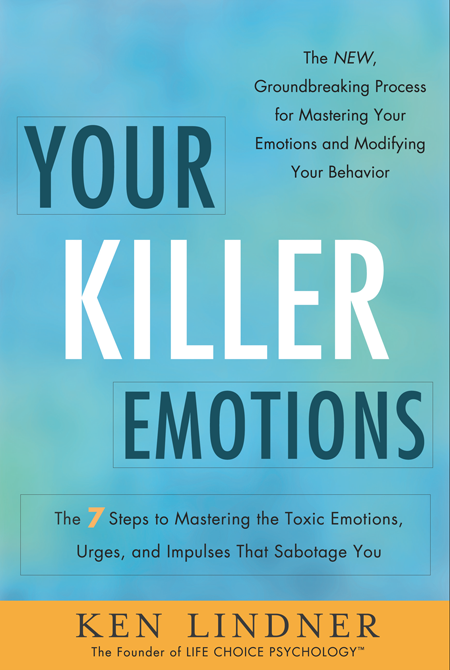 I have helped them master the toxic emotions that get in the way of making life choices that lead to goal achievement, fulfillment, and living the life they desire. But what exactly do I mean by toxic emotions? Like a toxic chemical or poison that would physically affect your health, toxic emotions are those that damage you mentally. They can be very evident in their expression or they can lie buried in the deep recesses of your mind, making you unaware of the damaging affect they are having on you. This toxic emotion can impact your confidence and self-esteem. Also, studies have shown that rejection can actually cause physical responses that increase a person’s risk for asthma, depression, arthritis, and cardiovascular disease. Suffering from disappointment can lead some people to wallow in blame or frustration or even become depressed. There is a debated theory called the disappointment affect that links immune system compromise to the experience of disappointment in optimists. A person who experiences anger or bouts of rage lives with a nearly constant heightened stress level. The physical damage stress can cause to the human body is well known. From an emotional aspect, anger and rage stands in the way of having healthy, meaningful relationships and can affect a person’s ability to maintain a job and therefore take care of him- or herself. Whether you have been betrayed or you have betrayed another, the psychological affects can be debilitating. Loss of trust extends beyond the parties involved and can make it more difficult to establish trust with others. Experiencing betrayal causes great distress on both sides, which certainly impacts life choices during that time and, potentially, long after. People who have shame erroneously feel that they are bad people. They also tend to avoid social interactions and can become isolated. It is easy to see how this type of perspective and behavior can cause harm in a person’s life. This list is not exhaustive but will give you a sense of the types of emotions that can be labeled toxic. 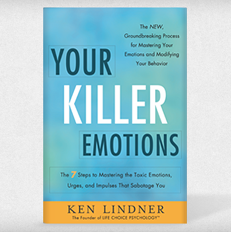 My 7 Steps to Emotion Mastery system presented in Your Killer Emotions teaches you how to tackle these toxic emotions and make them your allies rather than your enemies. “If you don’t go up to bat, you can’t get a hit,” is a much-cited cliché. A corollary to this reality, is that, if you go up to bat and put yourself on the line, you won’t always get the job; the order; the client; the promotion; and/or the raise. No one always succeeds! Knowing this, the questions to ask are: So, what happens when you get rejected? How do you deal with rejection? Do you handle it constructively and strategically; or do you let your toxic emotions cloud your best judgment and evaluative processes, and make a self-sabotaging career choice and thereafter act on it to your great detriment? First and foremost: DO NOT make an important decision or choice when you are overcome with feelings of rejection, hurt, embarrassment, disrespect, hopelessness,and the like. Always, stop, cool down, and, as they say, “take the pause that refreshes.” Additionally, DO NOT opt for an immediate, emotional quick fix, such as reacting destructively, lashing out, and/or retaliating. Oftentimes, we opt for these short-term satisfactions, but in the big picture of our lives and careers, these unthinking, emotion-generated reactions are counter and highly detrimental to accomplishing what we truly want for our careers in the long term (our Gold Ring Dreams). Experiencing rejection is often the first step to attaining great success! The key to enjoying post-rejection success, is to openly, honestly, and toxic emotion-free, learn why you were rejected or didn’t attain your goal. Securing this feedback, is essential for you to adjust your mindset; fix your missteps; and enable you to develop a new, more appropriate, and effective game plan and set of behaviors. I cannot count how many times my clients didn’t get a position; learned from the process; and improved themselves. At some point thereafter, they interviewed for a (better) position, with their new and improved arsenal of skills; nailed the interview, and secured a wonderful new position. As a result, the initial rejection – when viewed constructively – turned out to be an excellent learning experience; and a wonderful gift and blessing. This article is part of our P.E.P. Talk Series. Over the next month, some of the brightest and best authors, business professionals, and coaches are coming together to share their valuable advice for breaking free of “The Golden Handcuff Effect” so you can take full ownership of your careers and experience Professional Emancipation.